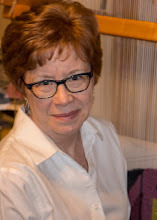 Molly Elkind : Talking Textiles: Why take a workshop? 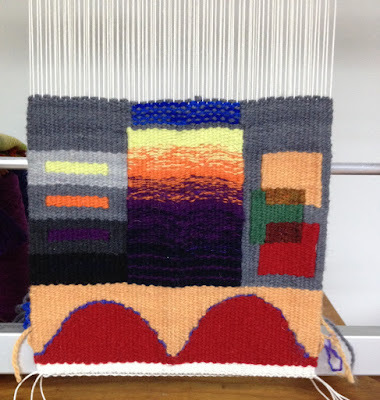 In one of those moments of serendipity, I returned from a fabulous 3-day workshop with one of my tapestry heroes, Rebecca Mezoff, to find a post by Elizabeth Barton, quilt artist, entitled "The Value of Workshops vs. The Love of Learning" . Apparently there's been some debate online about whether workshops are worth the time and money if one doesn't see immediate improvement afterward in one's own work. It's a wonderful, thought-provoking post, so I recommend you go there right now and read it. Read the comments too. I'll wait. Are you back? I've taken bunches of workshops over the years, from teachers of tapestry, weaving, quiltmaking, beadwork, surface design, bookmaking. . .you name it. I've learned something in every one--and not always what I went in expecting to learn! Sometimes I learn, OK, this particular technique is not for me--and that's useful information to have, going forward. Sometimes I'm gobsmacked by an artist's approach to design and art-making that is so far removed from my own that I'm forced to look at my process with more critical eyes. And yes, often I do learn things that directly improve my own work. new weaving techniques (e.g, shaped pick and pick, vertical gradation, approaches to transparency) that I will practice and refine at home and eventually add to my toolbox of useful tapestry strategies. Sample showing experiments in (bottom to top) eccentric weaving and outlining, and (left to right) matching color to value, vertical color gradation, seed stitch variation of pick-and-pick, and transparency effects. the chance to connect in person with many far-flung, gifted and wonderful tapestry weavers. Rebecca is a fun, knowledgeable, and inspiring teacher. You can check out her in-person and online workshops by clicking HERE and HERE. Pictures of lots of happy tapestry weavers can be viewed on Chattahoochee Handweavers Guild Facebook page. Here's the key thing, though, about workshops. Part of the problem is that they can remain self-contained experiences in time and space, especially if you have to travel to take the workshop. 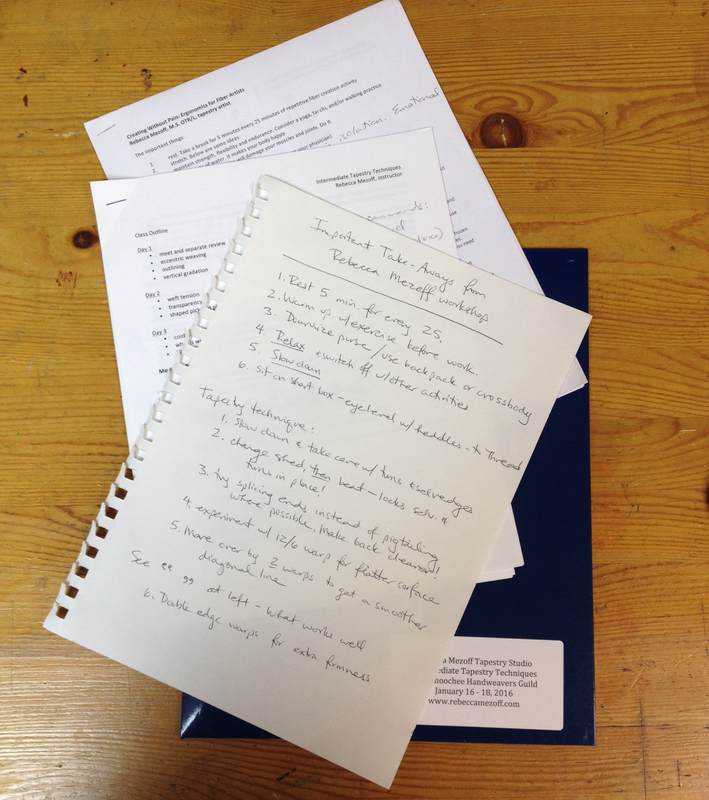 You go to the workshop, you immerse yourself for a few days or a week in a heady, exciting, intensive learning environment, and then you go home, resume your daily life, and the project you started and the things you learn can end up on a shelf somewhere, never to be seen again. I've found that it's helpful if I spend some time soon after I'm home, digesting what I learned, pulling out the significant nuggets for me and my way of working, making notes. As another of my tapestry heroes, Tommye Scanlin, once said in a workshop we both attended, "Take what you can use and leave the rest." Very wise words! And then the crucial connection between the workshop and your own practice is to figure out how to incorporate what you learned into what you actually do in your studio from day to day. That's where the rubber hits the road. For myself, now I'm going to work on better ergonomic practices and on practicing several new tapestry techniques. at Convergence, HGA's biennial national weaving conference in Milwaukee in July-August. These workshops offer you the chance to deepen your knowledge of how to use the elements of art and principles of design in your own fiber medium, whatever it is. You learn to move beyond intuitive, hit-or-miss approaches and begin to make deliberate, well-informed choices that give you greater control over the results you get in your work. In my workshops, you get detailed handouts, lots of hands-on, approachable exercises, a clear understanding of what to expect in the design process--and always a few laughs with your fellow fiberists! Please feel free to share your workshop experiences by commenting below, or let me know if you want more info about my own workshops. I think it is essential that you review the workshop once you are back home in your regular environment. '. . . digesting what I've learned, pulling out the significant nuggets for me and my way of working.' Then 'incorporate what you learned into what you actually do' That's the point of any workshop in my opinion. Of course you are right, Jan. Forgive me if I've simply stated the obvious. But as with healthful eating and regular exercise, what we know we should do, and what we actually do, are sometimes two different things! Thanks for reading. Insightful post, Molly! By the way, Edwina Bringle, legendary weaver and teacher (and my first weaving instructor at Penland) was who gave me that nugget of wisdom about taking what you can use and leaving the rest...an attitude I've carried with me through the decades since then. I think your suggestion about taking some time right after a workshop to pull out "nuggets" for yourself to see how those might become useful in your own practice is great. Thanks, Tommye, for letting me know who originated that quote. It has certainly stayed with me too. Thanks also for the kind words.